Almost every major global defence manufacturer was in Chennai to retain and expand its market. Defence Expo 2018, the 10th edition of the biennial global exhibition of defence equipment in India, started on a tentative note on the April 11. During former defence minister Manohar Parrikar's tenure, the event had been shifted from Delhi to Goa. The decision to hold it at Chennai this time, seems to have been taken after long deliberations. The delay notwithstanding, the Defence Expo was attended by 670 companies, including 154 from abroad. With its theme as "India: The Emerging Defence Hub", the event did serve the purpose quite adequately. Official delegations from 47 countries attended the expo. A large number of defence attachés of various countries visited number of stalls to familiarise themselves with Indian products they could import to meet their domestic requirements. This was also the first time that I found all our defence attachés posted abroad had been marshalled for the event. Along with them were those who had received their postings to various capitals and were scheduled to join their assignments, shortly. For a country which envisages achieving a turnover of Rs 1,70,000 crore in military goods and services by 2025, a concerted effort using every possible resource is invariably the need. The requirement of our defence attachés playing a role in promoting our goods and services in countries they are accredited to, is also equally essential. Of course, should we want results, accretion of staff would be the requirement at such capitals where business volumes could appreciably enhance. Participation by foreign companies witnessed a dip this year. As compared to 490 companies which attended the event in Goa in 2016, it was only 154 at Chennai. What may have served as a dampener was the Indian thrust on indigenisation of defence production. However, the top global defence companies were present in strength. Lockheed Martin, Boeing, Saab (Sweden), Thales, Airbus, Rostec State Corporation (Russia), BAE Systems, MBDA, MoD Slovak Republic, Naval Group, and even a few South Korean, German, Finnish companies put up their stalls, among others. The Indian charge was led by the big banners such as Tata, Mahindra, Kalyani, Adani, and also included Zen Technologies, MKU. It was also heartening to find a fair number of players in the unmanned aerial vehicles segment. DRDO, defence public sector undertakings and the ordnance factories were there in good strength. Most of our ship and submarine builders also had their models on display. The Micro Small Medium Enterprises (MSME) were well represented. Other than business meetings on the sides, a large number of seminars and press briefings were simultaneously held. Our defence industry requires the participation of the academia and our research institutions of excellence to achieve indigenisation of defence production. This was the first time that I found IIT Madras running a seminar with Bharat Shakti as its partner. A series of technologies being developed by IIT Madras for the defence sector, were presented. Defence Expo 2018 also witnessed the signing of a large number of memorandums of understanding and partnerships. A few important ones include an agreement between Boeing, HAL and Mahindras to produce F/A 18 Super Hornet jets in India. With Indians set to buy 110 fighter aircraft, the partnership provides Boeing a bit more muscle, once the bloodbath to wrap up the contract gets underway. Kalyani Group and BAE Systems have got into a strategic partnership to produce air defence guns and ammunition. Incidentally, the current air defence guns in service with the Indian armed forces are mostly dated and the inventory needs induction of modern platforms. 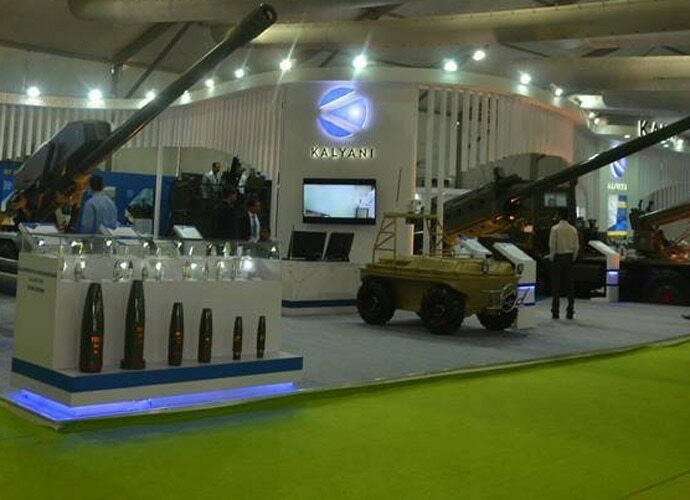 Kalyani Group artillery product profile, including a large number of models in the 155mm category and the Advanced Towed Artillery Gun System (in collaboration with DRDO) were on display. Goa Shipyard and Naval Group announced a partnership for manufacturing simulators for training of crews for submarines. The two companies have already collaborated in manufacturing of simulators for naval platforms. Rolls-Royce and Goa Shipyard teamed up to build MTU Series 2000 engines used for Offshore Patrol Vehicles (OPV). A large number of OPVs have been constructed by Shipyard and provided to Indian Navy and the coastguards. OPVs are also being built by Reliance Defence and Larsen & Toubro. There is obviously a market there for the engines. In November, 2017, the Indian government had approved the purchase of utility helicopters for the Indian Navy. One of the contenders is the Kamov 226T of Russian Helicopters. At the Defence Expo, Russian Helicopters announced its invitation to its Indian counterparts to visit their facilities. 200 Kamovs are on offer with a production facility also being set up in India. Tata Sons announced the consolidation of its various businesses across aerospace and defence sectors together under Tata Aerospace & Defence (Tata A&D). The move is bound to lead to some surpluses at the apex management levels. It will be interesting to see how Tata Sons navigates through the amalgamation process. A cutting edge product on display at the L&T MBDA Missile Systems stall was the ATGM 5, a fifth generation anti-tank guided missile. MBDA has over 45 missile systems and counter measures in its product range. The Indian armed forces require a plethora of missile systems thereby offering MBDA adequate opportunities of enhancing business volumes in India, leveraging the advantage of its products being in service already with the Indian armed forces. BrahMos Aerospace, an Indo-Russian joint venture, announced the development of an indigenous seeker that will replace the Russian product currently being used on its BrahMos missiles. The company is also working on enhancing the range of the missile from 280km to 500km. An Indian warhead and missile speed of over Mach 5, five times the speed of sound, is being pursued. Obviously, dependence on Russians is intended to be diluted. The tilt in our defence acquisitions shifting the US way was quite evident. So far an exceedingly high percentage of our imported equipment has been of Russian origin; 68 per cent of the imports during the period from 2012 to 16. However, the Americans have piped the Russians to the post. The American delegation at the venue was also a high powered one, with the American ambassador leading a team of 17 that included both service officers and business representatives. Irrespective of the lead which Americans have taken, with $250 billion likely to be spent over the next 10 years by the Indian government for force modernisation, almost every major global defence manufacturer was in Chennai to retain and expand its market. The only prominent absentees were the Chinese. They had been invited, though. 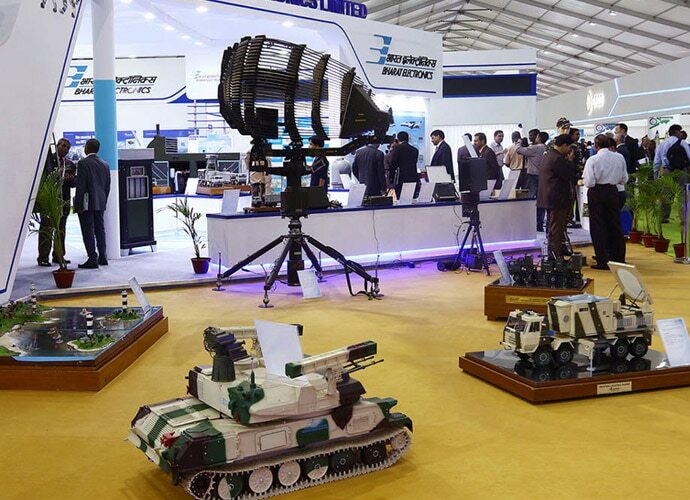 For Indian companies in the defence sector, the Defence Expo surely was a boost. A large representation of MSMEs at the expo was evidence of opportunities opening up in the defence sector as we continue with the emphasis on indigenisation and Make in India. Equally true is the fact that if indigenisation is to progress we require to have a sound eco-system of MSMEs. The curtains have since come down at the Defence Expo 2018. A large variety of equipment to include tanks, guns, armoured personnel carriers, truck mounted radar systems and command posts, missiles, brought in for display have been mounted on long bodied trucks and leave a trail of dust behind as they exit the venue. The helicopters have flown beyond the horizon, nor is the Sarang team weaving patterns in the sky. For defence professionals, enthusiasts and corporate executives, the next trip they look forward to would be the Bengaluru Aero India in 2019. Also read: IPL 2018: What would Dhoni have done? The writer is the Editor of BharatShakti.in. An artillery officer, he commanded a brigade in the deserts before commanding one in intense counterinsurgency environment.